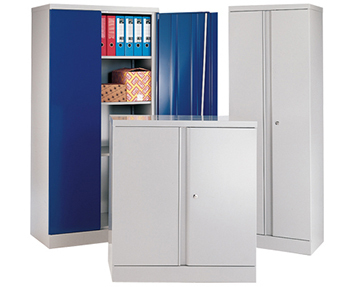 At Furniture At Work, we offer a huge range of office cupboards and cabinets designed to help keep your workspace tidy and organised. 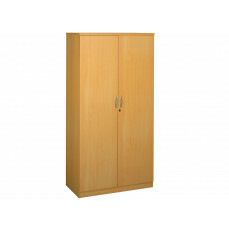 You’ll find cupboards in an array of different styles, shapes and sizes. 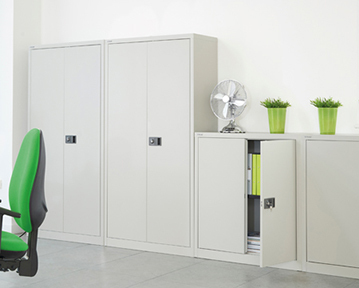 From tall, slimline designs to compact, desk high models, all our office storage cabinets will perfectly fit your space when you shop with us. 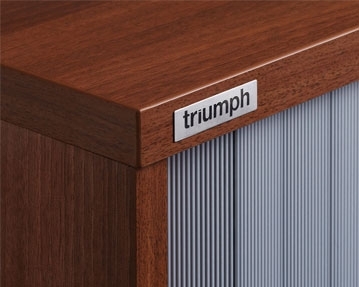 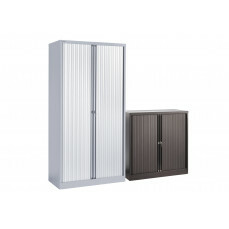 Aside from traditional cupboard designs with single and double doors, we offer wooden tambour door units. 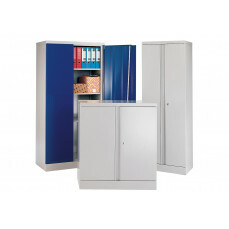 You can also choose from an array of stylish combination units. 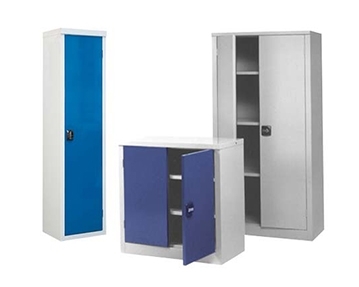 These come with an open or glass-fronted section on top and a closed cupboard compartment at the bottom. 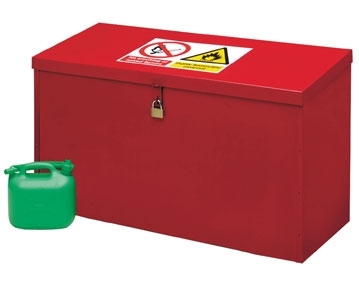 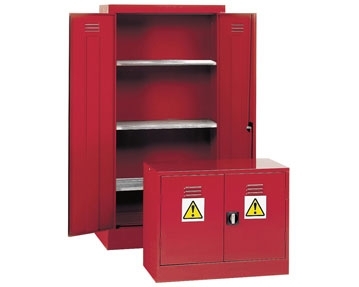 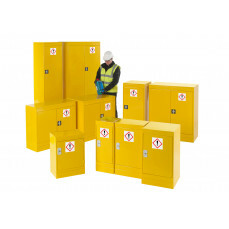 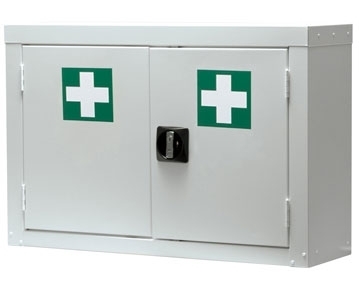 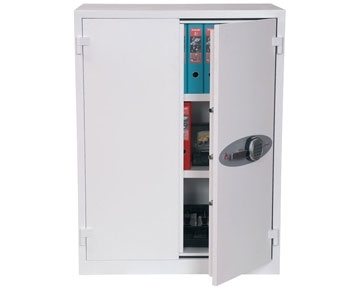 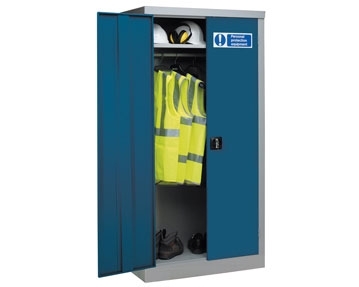 In addition, our range includes fire safe cupboards as well as first aid storage cabinets. 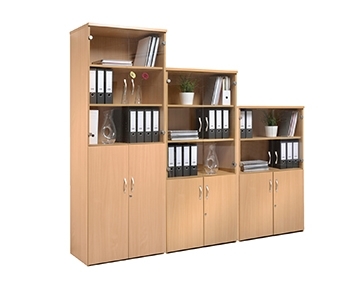 All of our office storage cupboards provide you with plenty of space to organise and store all of your office supplies. 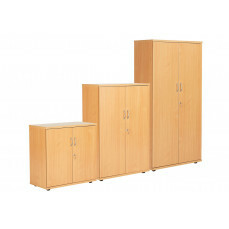 Our range includes office cabinets ideal for storing files of paperwork and keeping spare stationery within easy reach. 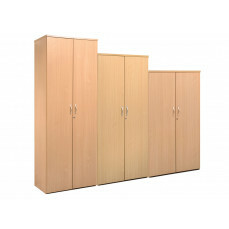 We offer utility cupboards too. 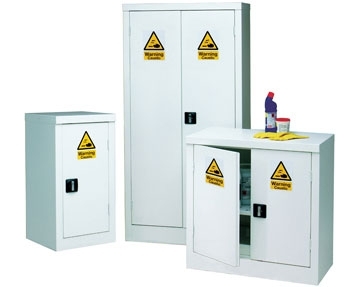 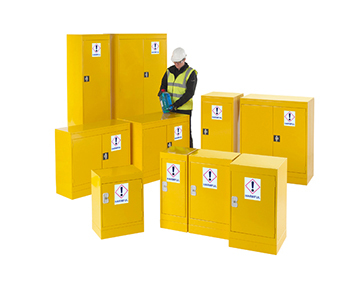 These are perfect for the safe keeping of dangerous cleaning products and hazardous chemicals. 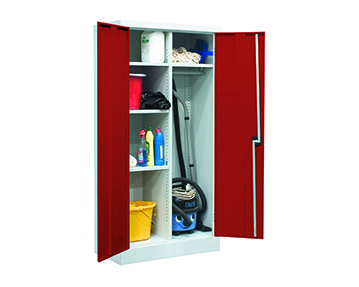 You can take your pick from cupboards with a plethora of useful and practical features too. 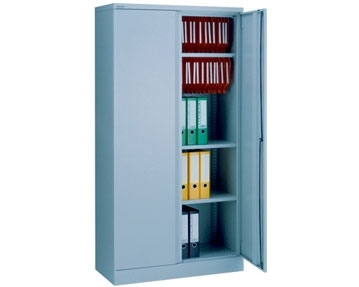 We offer designs with secure locking systems, easy-grip handles, scratch-resistant coating and adjustable shelves. 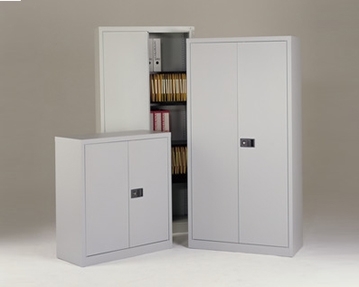 Aside from providing you with a way to keep your workspace tidy and organised, our storage cupboards are extremely stylish. 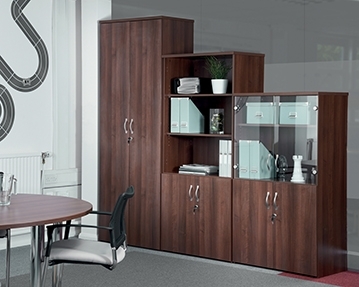 To ensure these office storage solutions complement your decor, you can choose from units in a variety of different materials and finishes. 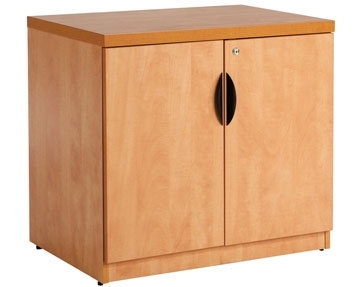 With metal and wooden styles with sliding doors, you won’t struggle to find the perfect cabinet for your space saving needs. 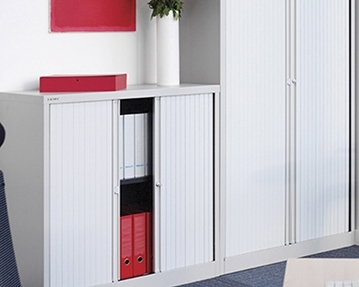 All of our storage cupboards have been built to last - even in the busiest of offices. 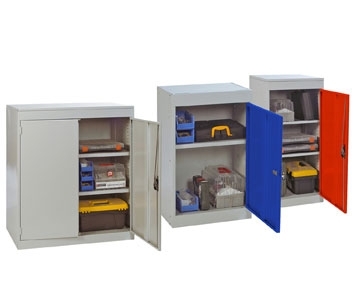 Each unit has been manufactured from high quality materials, meaning you can trust they stand the test of time. 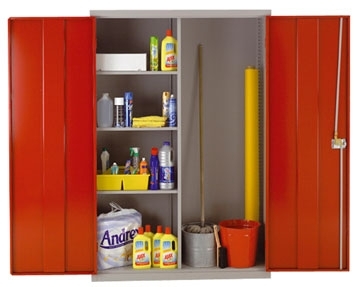 To learn more about our collection of storage cupboards, take a look around our website. 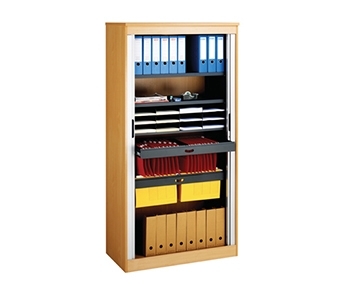 If you can’t see what you need, why not get in touch? 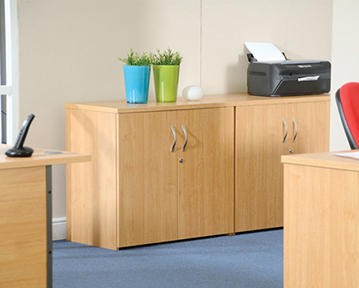 Our customer service team are on hand to assist in you finding the perfect office furniture. 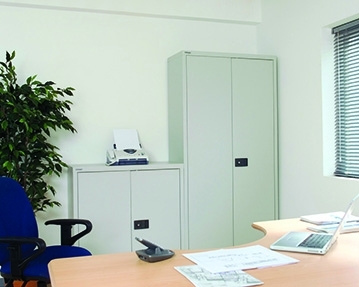 Simply give us a call or complete our online contact form. 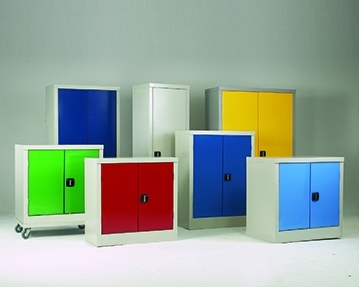 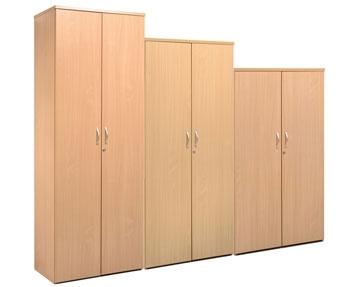 For our full range of office storage solutions see our filing cabinets and office lockers.